Stones that I picked up in the fields around Tremblay, France, led me on a wonderful voyage of discovery about the upper Seine River valley’s geology, archaeology and history, all of which helped me appreciate even more the seemingly humble stones I was drawing. During a time when I seem to be doing everything except painting and drawing, I still find myself staring out of the window at the wonderful, wide salt marshes and seeing all sorts of magical images which I would love to capture. Because the clouds and the light on the marshes are so fleeting and ever-changing, they require a gestural, allusive approach to catch their essence and somehow record it on paper. In this approach, it is really the viewer who needs to "fill in" the details, bringing his or her own experience and sensations to complement the art on view. Here on the Georgia coast, I think most people are deeply aware of the almost hypnotic beauty of these salt marshes, so they would readily understand such an approach to depicting these scenes. At the same time, as I gaze out at the marshes, I find myself watching for the abstract underpinnings of the landscape. The play of light and shade can belie the apparent realism of the scene and this interplay can become a valuable under-structure for a painting or drawing. These values can be used to ensure a strong composition of interlocking shapes. So I try to train myself to watch for these allusive aspects which can pitch into abstraction without warning. It is a fun game to play, even if I can't put them on paper at present! Today I was out painting on the marshes, and the reflections and patterns were unbelievable as the tide flowed serenely in. Working in watercolours, plein air, not from photographs, one can become schizophrenic as things change so quickly. Added to that changeability of light and pattern, you have a lot of humidity, so watercolours seem to take for ever to dry. So I was doing what I seldom do, doing two paintings concurrently. 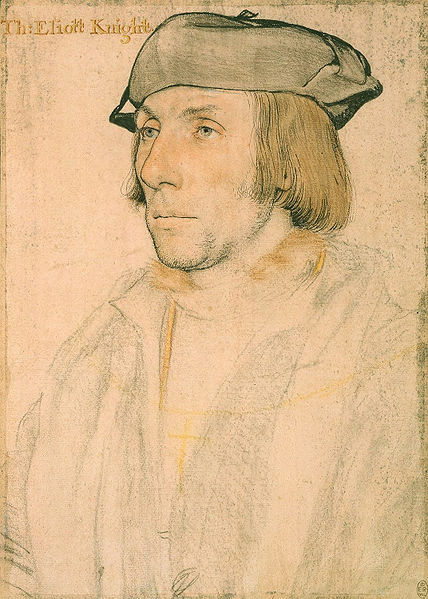 Pretty soon, I remembered, a little wryly, a remark I found that Hans Holbein the Younger had made: "everything began with a drawing..."
How true! If I had not made a relatively loose but nonetheless careful drawing before I started each painting, I would have been in deep trouble. In one painting, I got fascinated with the reflections of three docks along a creek edge, and the play of light on their pilings, roofs, etc. However, between the drawing and later (sort of!) completion of the watercolour, people had moved boats around, the tide had come in, the sun had gone over and clouds had come up. Without at least a rough "road map" underneath, I would not have known how to continue the painting at some points. I think I first learned to the value of an initial under-drawing for a watercolour many, many years ago in Alaska. I was doing a landscape of the dramatic mountains and inlets near Homer, and to my delight, there was a little red plane parked at just the right focal point. I had drawn it very roughly, intending to return in more detail as I got more to painting that part... Painting away happily, I suddenly realised that I was hearing the sound of a plane engine starting up. Before I could remedy my omissions of detail, the little red plane had sailed up into the air and disappeared! So much for my focal point! In other words, draw, draw and draw again - one never regrets it. Garden designers and gardeners have always recognised the role that design and art play in the formation of a garden, even - in some cases - a vegetable garden. The Royal Horticultural Society's Lindley Library (www.rhs.org.uk/learning/library/) is a wonderful collection of wisdom on gardening, its history and garden design. But any of us can have a great deal of fun in a garden when we regard it as a living canvas for our art. Just as a painting has to be organised, so does a garden. Both really need structural "bones", an underlying structure on which to clad the later work of colour. Trees, foundation shrubs, permanent structures likes pergolas, columns or stone walls, all fall into this category. In the same way, it is often very rewarding to put down a totally abstract, strong under painting on canvas before you start on any image painting. For both garden or painting, it is really about creating an experience. John Dewey described in Art as Experience, "The artist selected, simplified, clarified, abridged and condensed according to his interest". 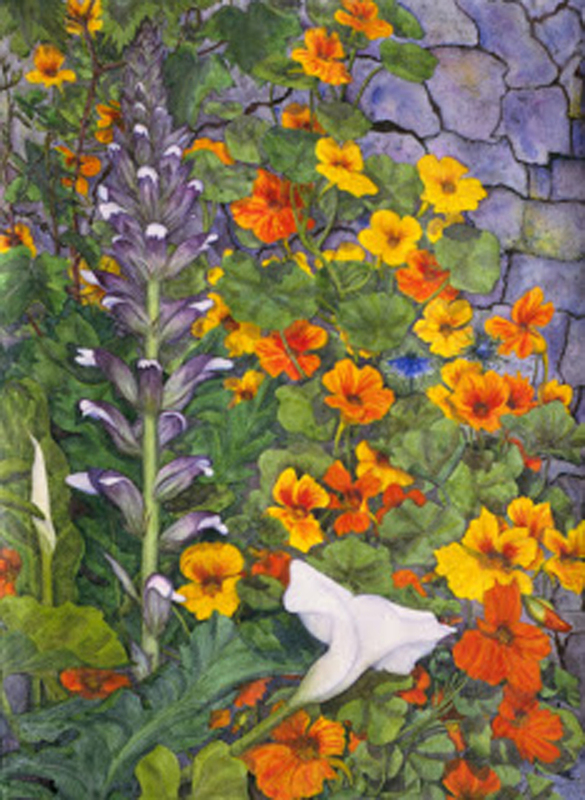 Just as you plan a painting that excites, challenges and stimulates or soothes, calms and welcomes, so you can design a garden that elicits a host of reactions from anyone viewing it. Large or small, every garden soon has its own character and atmosphere. Only after the initial underlying structure stage of creation can colour be added with success. On a canvas, yes, it is of course paint. In the garden, it is a bewildering array of plants which offer varying colour and shapes from leaves or flowers, annual or perennial, seasonality and size requirements.... all dependent on the micro and macro-climate you have. In other words, endless choices and fun. Nonetheless, in the garden, just as in a painting or drawing, the fewer the elements involved, the stronger they have to be from a visual point of view. Whichever the creation, painting or garden, it can be the source of interest, pleasure and delight to innumerable other people. That compensates for the hours of planning and hard labour that have gone into the work... but at least in painting, you seldom get blisters!